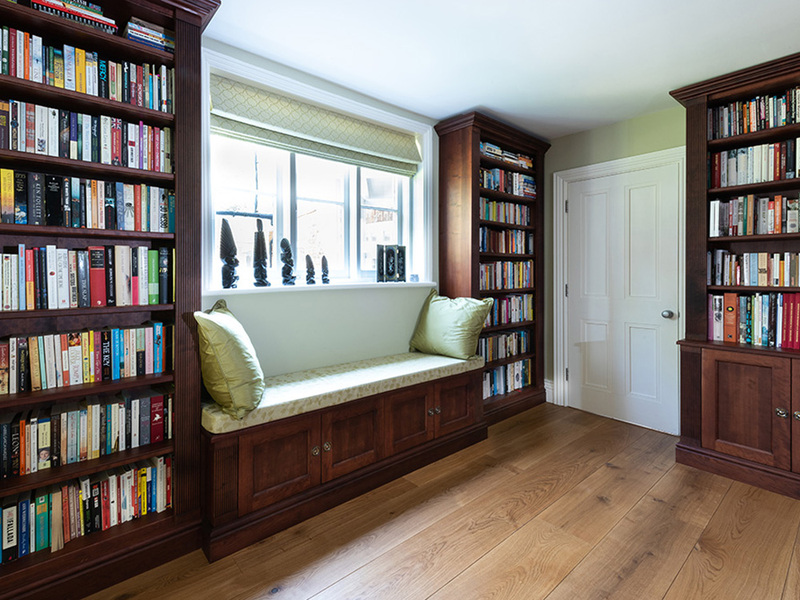 As part of a substantial house reservation, Adrian was commissioned to carry out the manufacture and installation of furniture for a library room. To keep in a style with the period of the property, Adrian used a mixture of hardwood and veneers which was stained and lacquered to achieve a traditional dark finish. Adrian provided samples of handles and finishes during the design process to ensure the client was happy with the choices.